In-memory technology has the potential to initiate a new computing era. The mastery of Big Data gives the promise of the Real-Time Enterprise to reality. You probably have some PDFs on your computer, perhaps a collection of books and other documents. Now imagine, your all these books, maybe a few hundred megabytes or a few gigabytes are available and search-able with virtually no delay. Imagine you could do the same with all digitized books of the entire World. Think of a Library with the size of 10 terabytes – and are search-able in less than three seconds. All is possible with in-memory technology and thus the use of big data can be made possible. In-memory Technology is particularly interesting to the market but to become be reality, years to come. At the same time, In-memory Technology is being developed and tested with great momentum. This is particularly important in SAP HANA context as we published before. For in-memory analysis, the capabilities are especially interesting, where the problem for further processing need not be divided into smaller packets to distribute them to several small cluster. If a single large memory is available, certain relationships can be much faster and more clearly more productive. For example, in the analysis of social media data, fraud detection and scientific problems such as the cosmological calculations by Cambridge University. 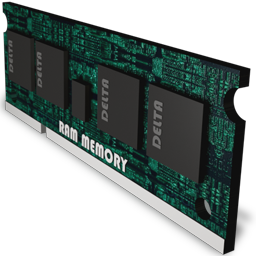 The use of a single in-memory technology system facilitates the work of scientists and business and it accounts for the physical limits of the memory-limitation. Figuratively it can seen as the entire forest, not just the individual tree. This approach is called “liberation of small technologies”. It takes out things like the need for care and maintenance of database indexes, aggregation and processing of the data for further processing. But this last point already provides that the various ways of viewing the the data are limited in any constellation, since they must be pre-selected and sorted. As it were, the limited number of responses that would be possible, as the variety of questions that could be asked. In-memory technology already is used for years, can be considered as the pioneer of new way of thought for private sector companies in which these options are used only since a past few years. In addition, the number of analytical procedures is growing so fast that we are slowly but surely approaching that to make our brain capable of making more connections. In particular, the visualization of dependencies and connections is an essential element that helps analysts to identify relationships and recurring patterns and – simply put – real benefit from Big Data. This Article Has Been Shared 7722 Times! NoSQL is now officially active for four years. Many things have happened around NoSQL. NoSQL database has already proved more than satisfactory in some fields. Cite this article as: Abhishek Ghosh, "In-memory Technology : The Mastery of Big Data," in The Customize Windows, April 10, 2013, April 21, 2019, https://thecustomizewindows.com/2013/04/in-memory-technology-the-mastery-of-big-data/.